Directions (Q. 1-5): In the following questions, a sentence has been given with some of its parts in bold. To make the sentence correct, you have to replace the bold part with the correct alternative given below. 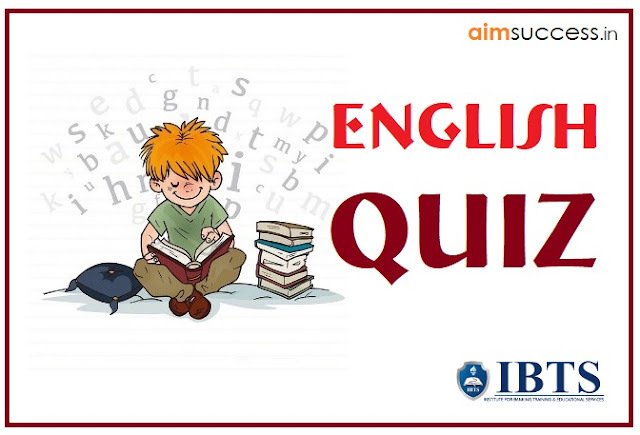 If the sentence is correct as it is, please give 5) as you answer (ie No correction required). 2. Rajeev is working part time in a factory to put himself on college. 3. The number of tourists begins to taper off in late autumn. 4. The committee rejected the idea at the first, but they are now warming to it. 5. Rosa was cautioned by the police and she was scared that news of this would get out in her home town. Directions (Q. 6-10): In each of these questions, two sentences (I) and (II) are given. Each sentence has a blank in it. Five words 1), 2), 3), 4) and 5) are suggested. Out of these, only one fits at both the places in the context of each sentence. The number of that word is the answer. 6. I. A CBI team met Defence Ministry officials to ______ details on the controversial VVIP helicopter deal. II. He was grateful for a chance to relax and_____ his thoughts. 7. I. In his review petition, he said that the court had condemned him for alleged illegalities without____ him a party to the proceedings. 8. I. In a setback to telecom companies, the Supreme Court_____ curative petitions filed by four firms and the former Telecom Minister, A Raja. II. An American judge_______ murder charges against Dr Jack. 9. I. Group discussion (GD) is an important phase for the management entrance procedures_____ by recruiting companies and management institutes called B-Schools. II. The UN has____ a resolution that calls for sending UN observers to Yugoslavia. 10. I. I believe that commercialisation of health______ in India is a bane for the millions of poor people that inhabit our country.